Our trainers has many years of experience, implementing, training users and how to use the system. With simplified Training Guide, knowledgeable and patient trainer, you would be assured of safe hands when you use the system for the first time. Product training is required for the use of SmartHRMS for first time users to approach the system with the right technic when it comes to managing essential payroll and Human Resources data. 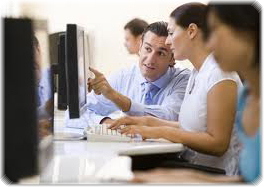 As we understands the need and importances of trained users managing the system, Avelogic had setup a team of professional trainers to offer timely onsite training services to gear administrators/users with the know-how of the system in order to process and manage the system effectively and efficiently. Knowing the system well would also equip administrators/users to resolve issues(if any) or to feedback issue to our support team timely, improving productivity and working efficiently.